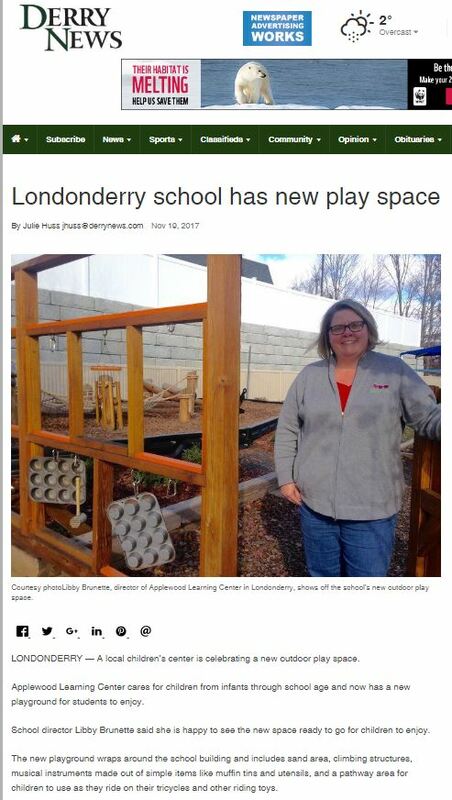 This article is available at the Derry News. Applewood Online Calendar Available Now! 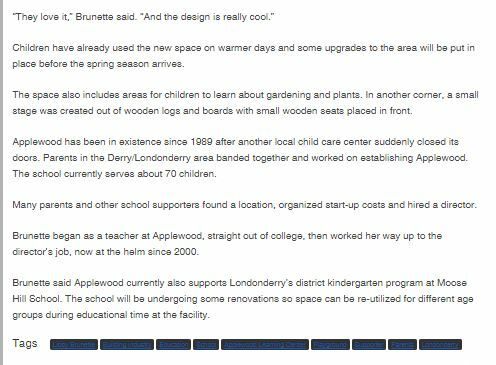 © 2017 Applewood Learning Center - Powered by Wordpress.